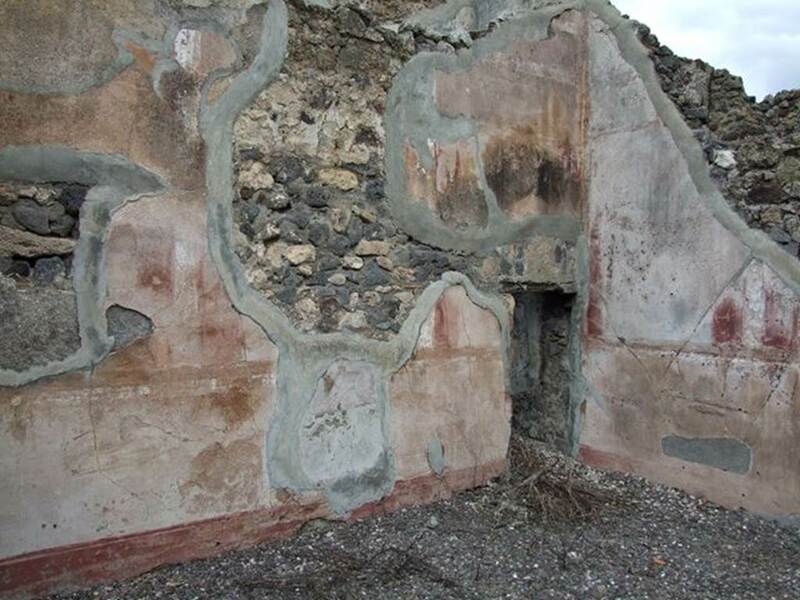 VI.7.19 Pompeii. W.1345. Doorways to rooms on north side of atrium. 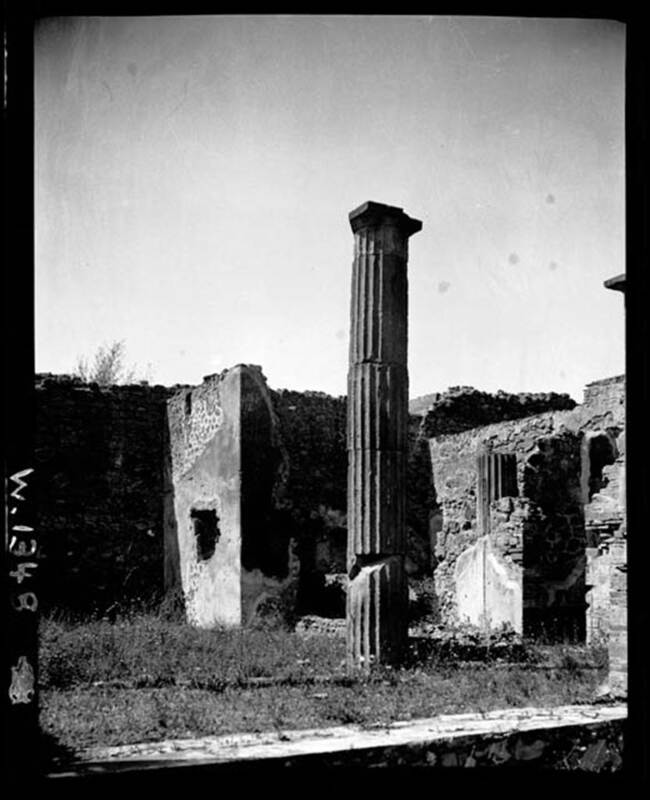 VI.7.19 Pompeii. W.1357. 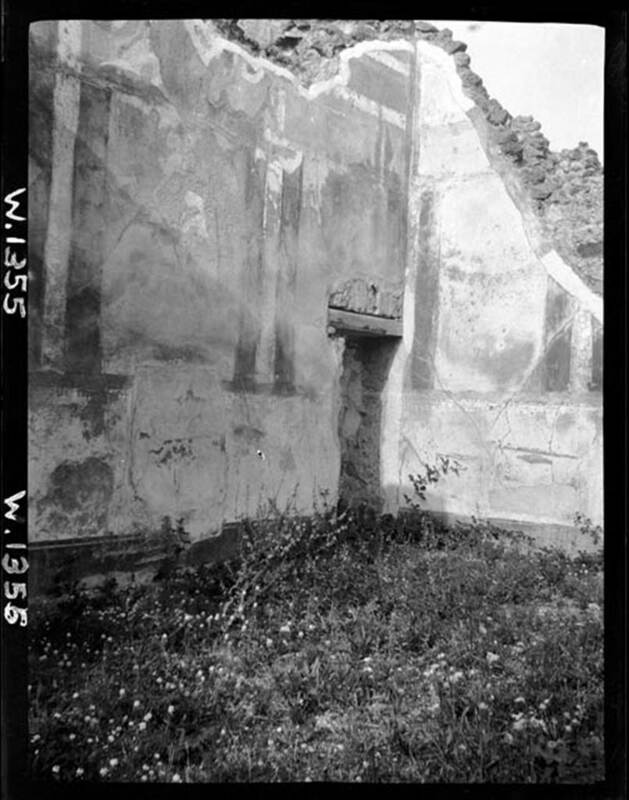 North-east corner with remains of painted decoration in cubiculum on north side of atrium. VI.7.19 Pompeii. W.1341. Looking across impluvium, towards north-west corner of atrium. VI.7.19 Pompeii. December 2006. Looking west across atrium to tablinum with painted walls. 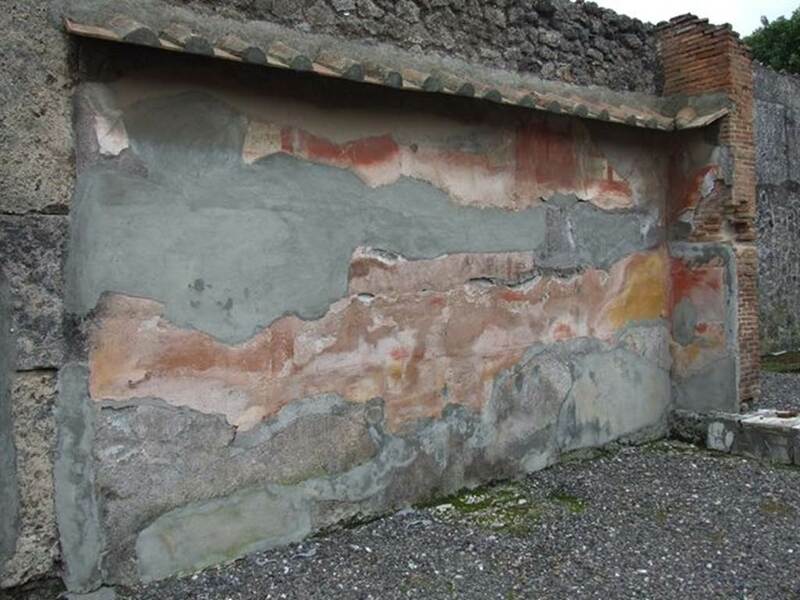 VI.7.19 Pompeii. December 2006. 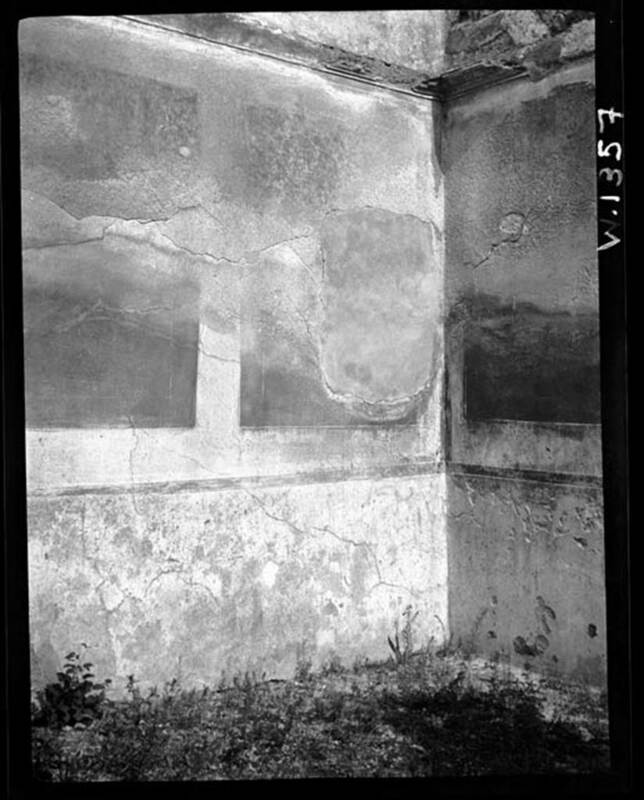 Tablinum with remains of painted south wall. 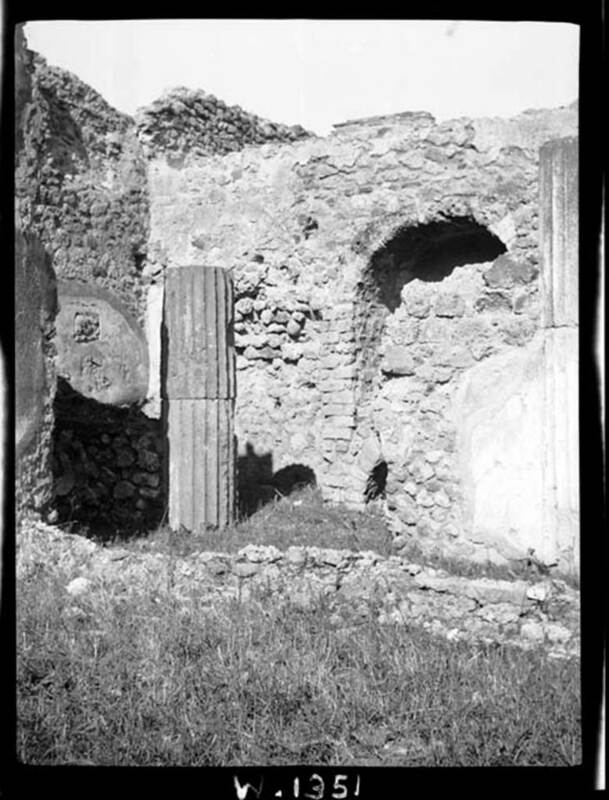 VI.7.19 Pompeii. December 2006. Detail of remains of painted south wall in tablinum. VI.7.19 Pompeii. December 2006. 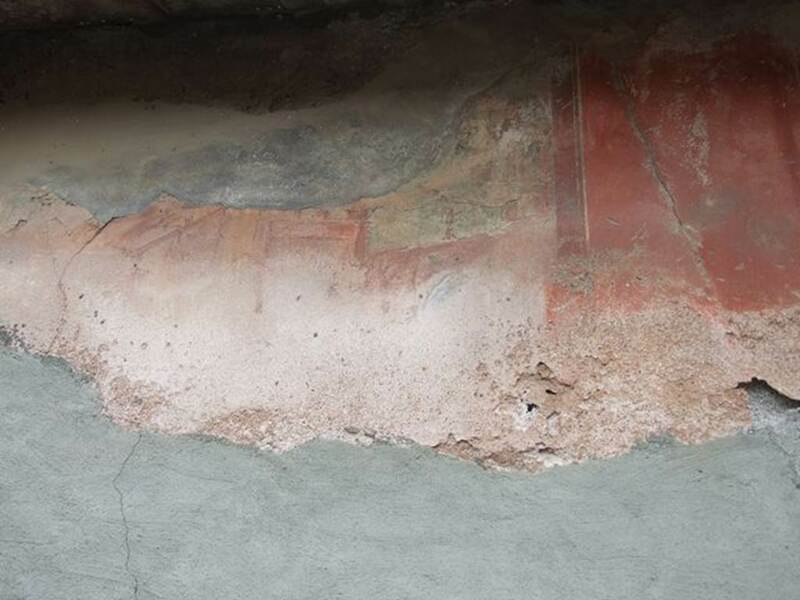 Detail of remains of painted north wall in oecus to north of tablinum. 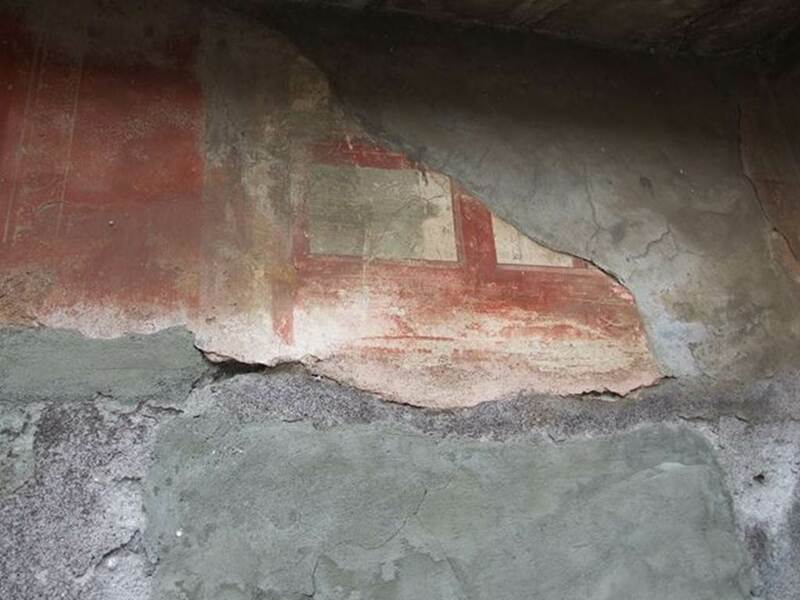 Detail of remains of painted plaster in north-east corner of oecus, with doorway into area below stairs. 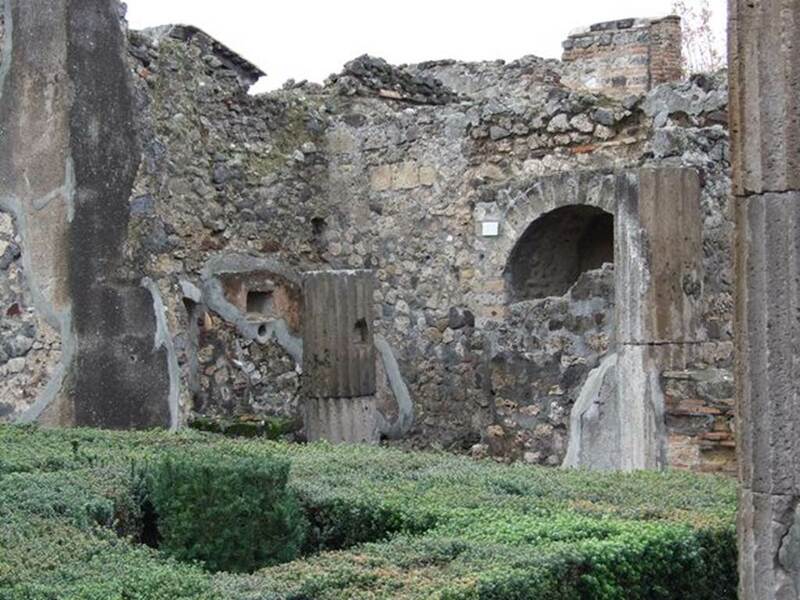 VI.7.19 Pompeii. W.1355. 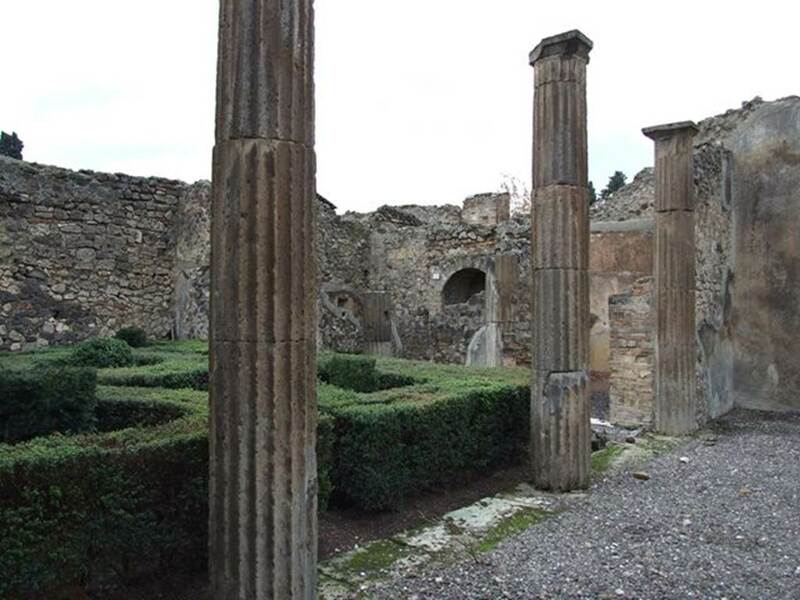 North-east corner of exedra/oecus/triclinium, with small doorway into area under stairs. 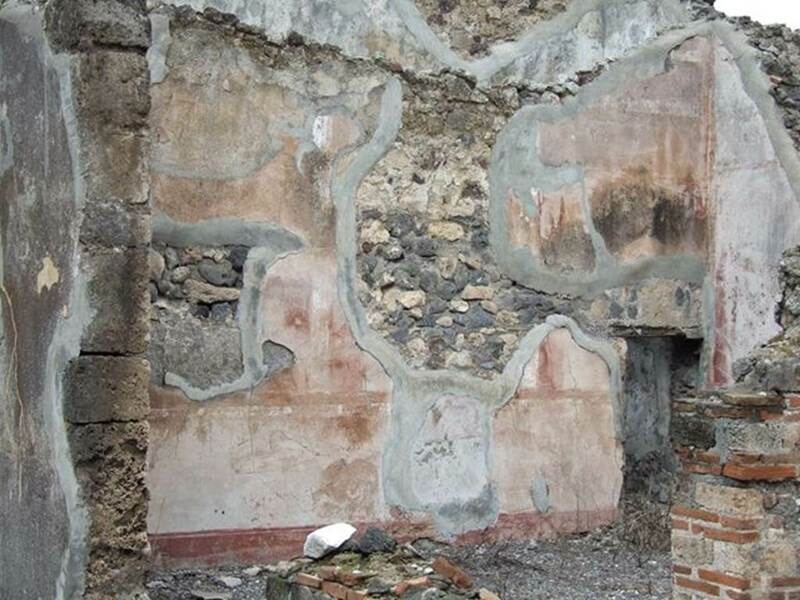 VI.7.19 Pompeii. December 2006. 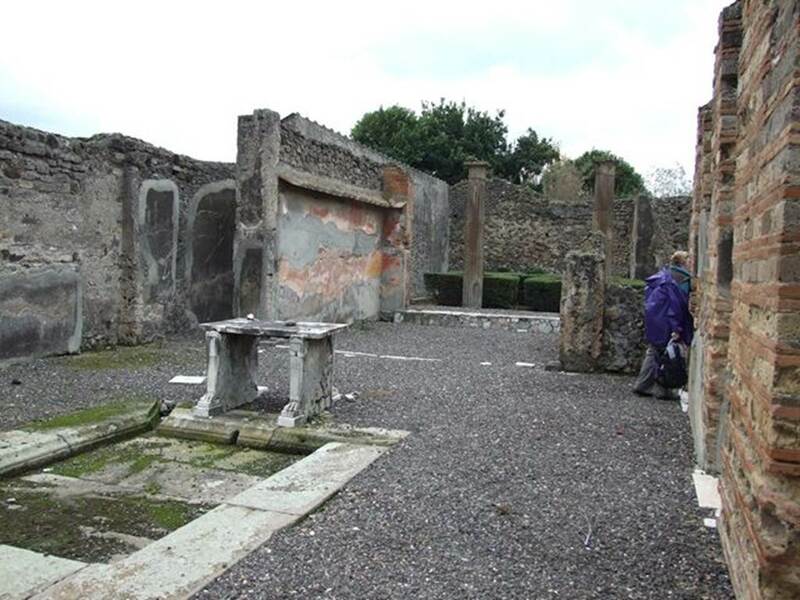 Looking north-west across east portico towards kitchen area, and exedra on north side of portico. VI.7.19 Pompeii. December 2006. Looking north-west across garden to kitchen area. 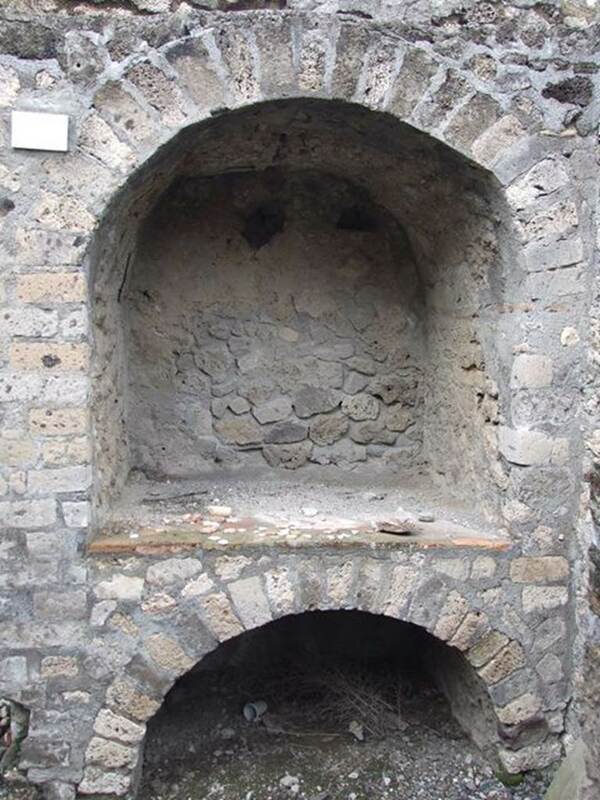 VI.7.19 Pompeii. W.1348. 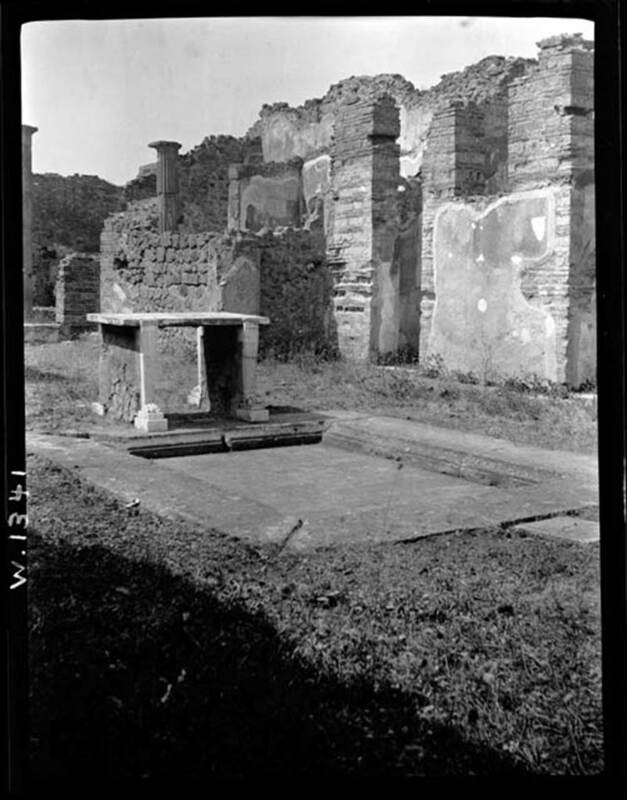 Looking towards north-west side of peristyle, from rear of tablinum. VI.7.19 Pompeii. December 2006. 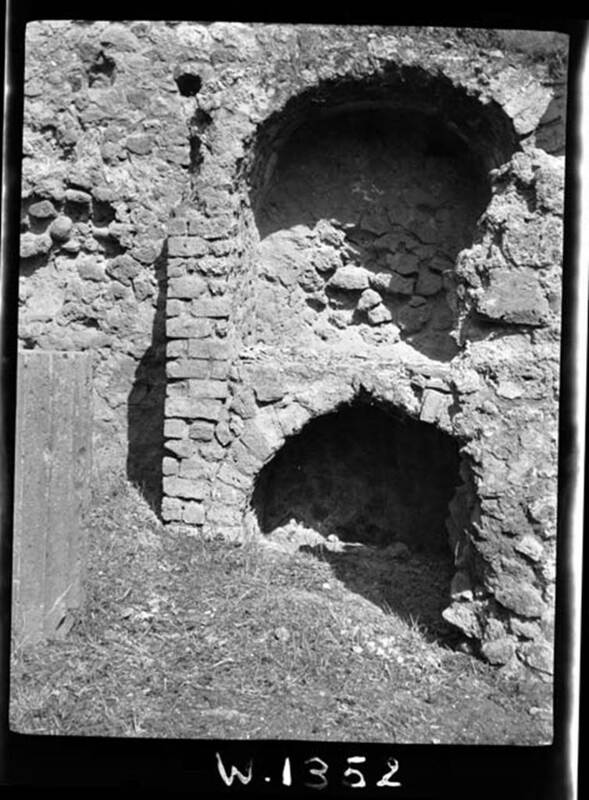 Kitchen, looking east towards oven/hearth. VI.7.19 Pompeii. 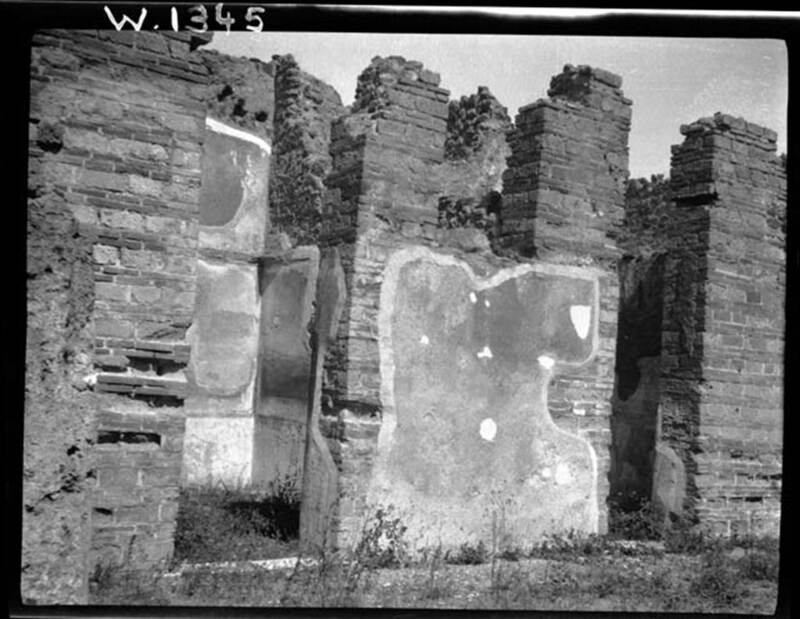 Kitchen area, in north-west corner of peristyle. VI.7.19 Pompeii. December 2006. Kitchen hearth. 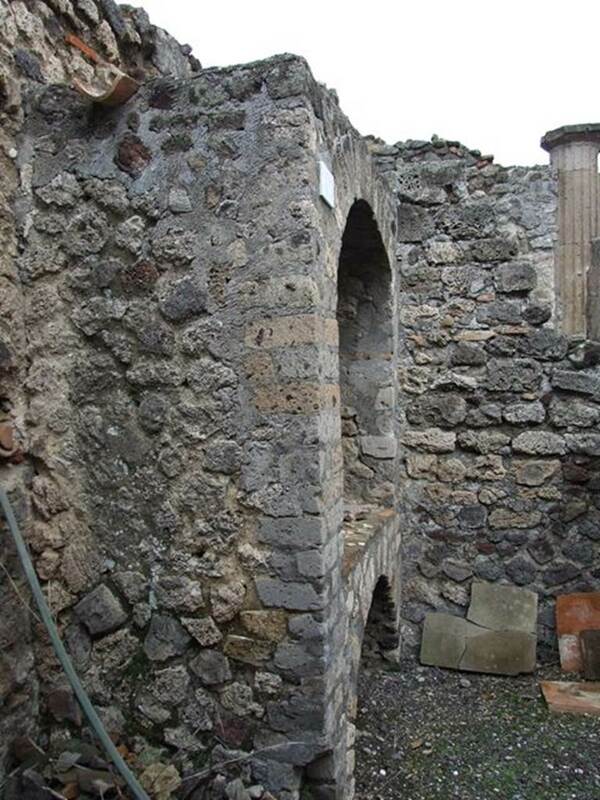 VI.7.19 Pompeii, W.1352. Looking north hearth/oven in kitchen area.